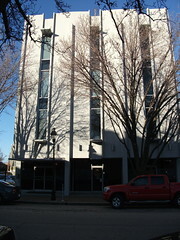 The Virginia Mutual Insurance Building (built 1963) is an icon of the modern movement in historic Jackson Ward. Constructed of precast concrete and glass, the building is a testament to the forward thinking of an African-American owned insurance company that served the heart of it’s community. Each of the 12 units features contemporary detailing throughout including stainless steel appliances and stone countertops and sliding bamboo and translucent glass doors. 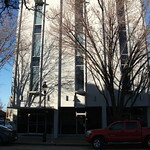 2C Condominiums offer 21st century living right here in the heart of southern history in Richmond, Virginia.